Emily held Reid up to meet his new little brother. 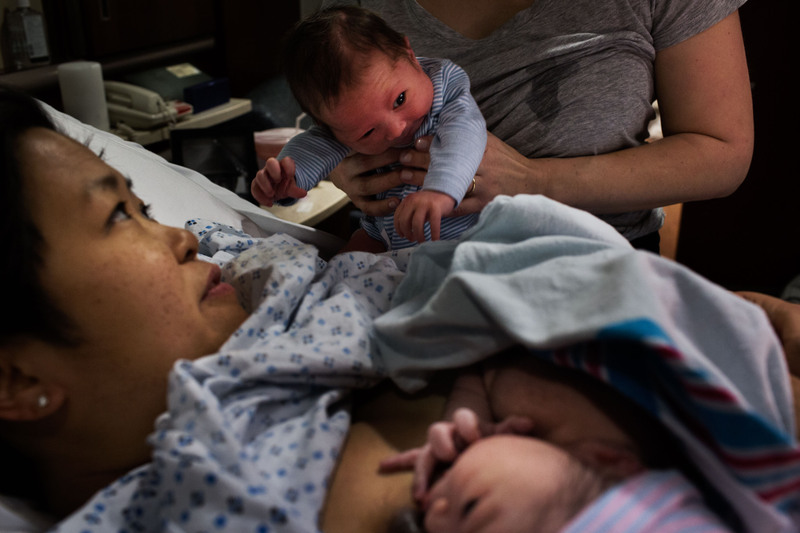 Reid and Eddie were born only four days apart, despite being due three weeks apart. Both babies had the same donor, making them biological half-brothers.